Lord Finesse is always worth checking out. Wow I've never heard of this before. 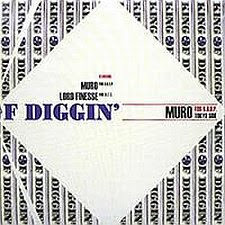 I have of Kings Of Diggin with Kon & Amir & Muro though. damn son! this sh$t is tight! big up! lord finesse's selection is mindblowing. i don't think that it can get any dustier than this. thanks! wow they put this on a cd. I ripped a copy from a friend to md back in the day. Thanks for this! I bought the original Muro tape from Fat Beats in 98 on my first-ever visit to New York. It damn near got worn out by me and my boys trying to figure out all the breaks and all the songs. Never knew Finesse did a tape as well, but I can't say I'm surprised.